POLICE are appealing for witnesses to an attempted robbery in St John’s on Sunday afternoon. A 16-year-old boy was in the St John’s Lye car park when he was approached by two men who demanded that he gave them his moped keys. They punched the victim in the face and held him around the neck, which left him bruised and battered. They also threatened to throw the bike into the nearby canal. 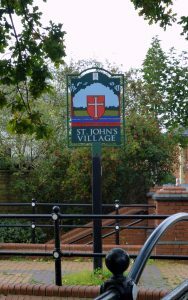 But they then ran off towards St John’s village without taking the keys or the moped.